The Luke Cage director has emerged as a major contender to take the 007 reins. The creative minds behind the James Bond franchise have never been afraid of taking risks. One thing the franchise have rarely taken risks with, however, is the choice of director. Martin Campbell, Sam Mendes (twice) and Marc Forster were all seen as good, solid choices to work behind the camera with Craig. All of which makes rumours linking Paul McGuigan to the next James Bond outing all the more fascinating. According to IndieWire, the Irish director is among the contenders for the coveted Bond gig, which is interesting news to say the least. McGuigan’s stock has never been higher. Not only has the filmmaker impressed during directing stints on popular shows like Designated Survivor, Luke Cage and Sherlock but his next film is already earning rave reviews. Entitled Film Stars Don’t Die In Liverpool and starring Annette Bening alongside Jamie Bell, Stephen Graham and Julie Walters, the film is based on Peter Turner’s memoir of the same name, chronicling his relationship with actress Gloria Grahame prior to her death. The project is important in the context of Bond partly because it’s being produced by Barbara Broccoli, who is rumoured to have been highly impressed by McGuigan’s work behind the camera. Then there’s the Bell factor. The Billy Elliott actor has emerged as a contender for the role of 007 over the past 12 months. At one point, a flurry of bets even saw the price on Bell replacing Craig dramatically slashed. With Broccoli thought to be a long-time admirer, the chance of pairing the two together on a new-look Bond could be too good a chance to pass up for the long-time Bond producer. McGuigan’s suitability goes beyond his current work though. As the director of crime thrillers like Lucky Number Slevin and Gangster No.1 he’s showcased an impressive knack for eye-catching set pieces as visceral blood-and-guts action (at times quite literally). Granted, both films earned mixed reviews on release but it’s worth remembering other Bond stalwarts like Goldeneye and Casino Royale helmer Martin Campbell has struggled to replicate the same success away from the franchise but remain solid choices for 007. McGuigan is out of practice when it comes to big budget affairs though. His last major effort came back in 2015 with Victor Frankenstein. A misfiring re-imaging of the classic tale that failed to utilise the combination of James McAvoy and Daniel Radcliffe, the movie also set a record for the lowest opening weekend gross for a film opening in over 2,500 theatres. It also scored a 24% rating on Rotten Tomatoes. Would a Bond movie be too much for him to handle? Could he cope with the pressure? Of course, a move for McGuigan could signal an altogether different direction for the franchise. As a director on Luke Cage, the filmmaker helped bring introduce Netflix’s very first Marvel franchise to be fronted by a black character – what better person to do the same with Bond? 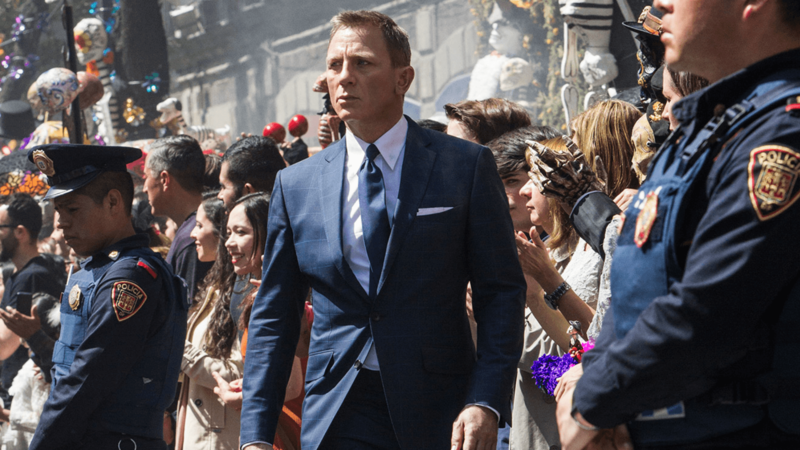 With these plans potentially pointing towards a 007 outing without Craig, it wouldn’t be the first time they have gambled on a change of direction for James Bond, would it?